If you want to make an event to be special, then it is necessary to use decorative accessories. One of such accessories is chair sashes. Using the appropriate chair sashes can lift the beauty of the whole venue. And if you want something unique and exemplary, then burlap chair sashes from BB Crafts will help you lift the essence of your event immensely. Here, you will find different types of burlap sashes for chairs, specific to meet all-event and venue requirements. 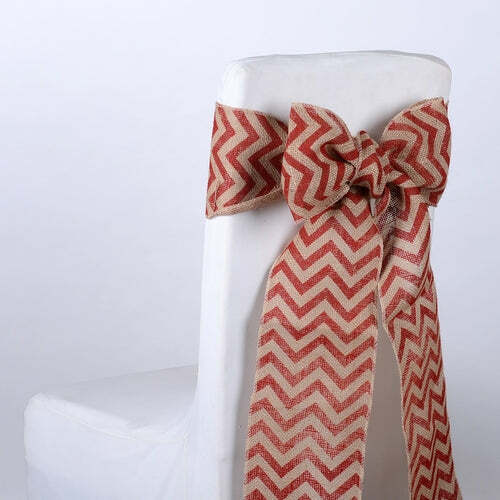 From zigzag pattern to polka dots, explore the diversity of chair sashes. A seeker can buy them at inexpensive prices and avail the fast shipping service.